Pakistan Awami Tehreek (PAT) Chairman Dr Tahirul Qadri on Sunday denied that he had made a deal with the government over the killings of 14 PAT workers in Model Town clashes on June 17. “I will avenge the deaths of my followers,” he said, before setting off for Lahore where he is scheduled to address a public gathering at Minar-e-Pakistan later in the day. “Today is a day of triumph and we will hold a historic rally in Lahore,” he said while addressing his supporters in Islamabad on the 66th day of his ongoing sit-in against the government. “I am going to Lahore to ask for Qisas for those killed on June 17,” he said. “The blood of martyrs will bring a revolution and those responsible will be hanged,” he claimed. The PAT chief added that his rally will prove that people are standing up for their rights and rejecting the status quo. Qadri has already avenged the so-called Model Town barricades removing tragedy by injuring more than 100 policemen in Islamabad with nail-studded sticks, by destroying public property in Sargodha & then in Gujranwala and above all stalling the life in Islamabad for 2 months. The cost of this rumpus paid by Pakistanis is over Rs 1,000 Billion and aversion of Chinese investment in the energy sector of Pakistan. 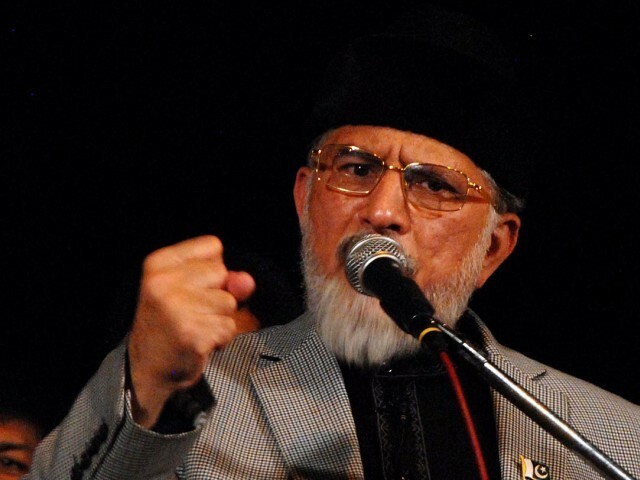 The government should now arrest Qadri and all those handling him to save Pakistan from this chaos. Its all about money. Hang Qadri and save Pakistan. Occasionally, anyone to be a scholar would like to compose the What has to do with this will depend about the publishing expertise that you have with regard to a lot more publishing help stop by that which help us all a good deal to enhance a lot more the publishing. My tutor suggest me this reallyprofessionalessays.com for perfect one service provider for the student writing services.